a.) Preserve your work in digital format which is not subject to mechanical degradation. b.) Improve the quality of your existing analog masters. These qualities can be any of following: tonal balance, less-noise and increased loudness (but not too much that it would destroy the beautiful dynamics). c.) Benefit of having your analog masters to be distributed digitally as quality mp3. Take a listen to your existing masters in analog. This is the mix down in analog format. Mix down format is NOT yet adjusted or processed by an audio mastering engineer. 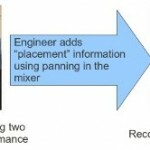 Mix down is the output of the audio mixing process. You should have a copy of this. Most recording labels do kept a copy in its archive. Make sure it still sounds good and the quality is not degraded. You will need a specific analog player that has a stereo line output on it. a.) 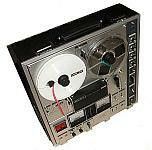 Cassette tape – you need a quality cassette tape player to reproduce and play your masters. Clean the tape heads as a dirty tape head can affect the quality of the playback. b.) Vinyl –you also need a good vinyl record player. I do not have a Vinyl player at home but I still remember my grandfather used to play some great records on Vinyl. The sound was perfect! c.) Reel to Reel – you need a reel to reel player. Once you are sure that you have still a perfect analog master. You need a high resolution audio interface. This will be used to convert the analog recording to digital format. 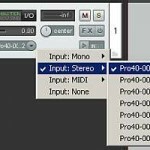 In order to convert analog to digital audio, you need to set two parameters in your audio interface (make sure these parameters are natively supported by your audio interface hardware). These parameters are the bit depth and the sample rate. 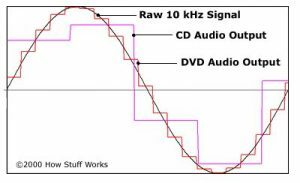 As you have observed, it shows a sample 10 KHz analog signal (the sine wave). 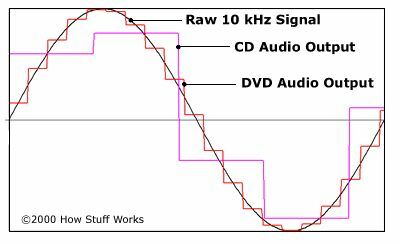 The reconstructed digital representation of 10 KHz analog signal sampled at 16-bit/44.1KHz (in pink) looks very far from the real 10 KHz analog wave signal.